Hollyhocks and few other plants are thriving in the tiny gap between the buildings and sidewalks of Denver (though a few look like they’ve been pruned). 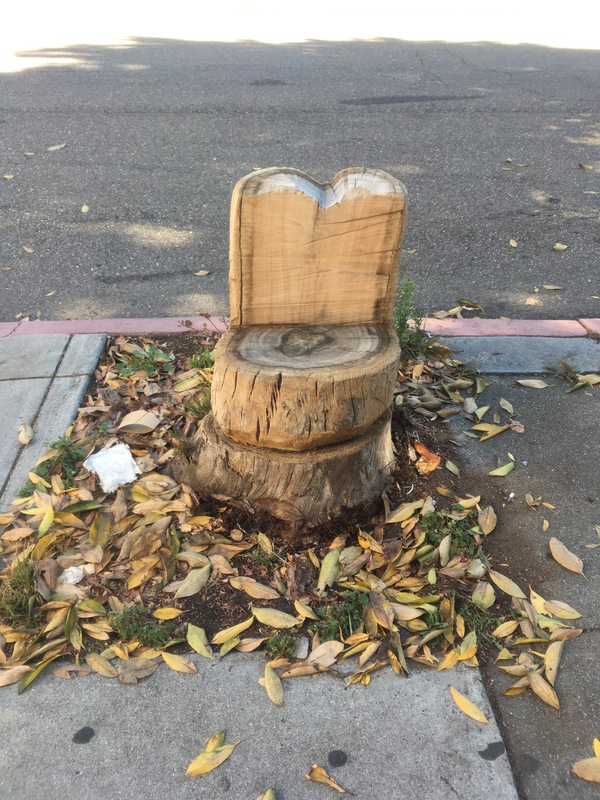 Min Li Chan of San Francisco send this photo-report from her travels to the RiNo arts district, which she described as “an industrial area turned hipster art neighborhood, not unlike Williamsburg five years ago.” Perhaps we should compare Brooklyn plants to Denver plants? Thank you to Min Li for stopping to observe some urban plants and share them with us! 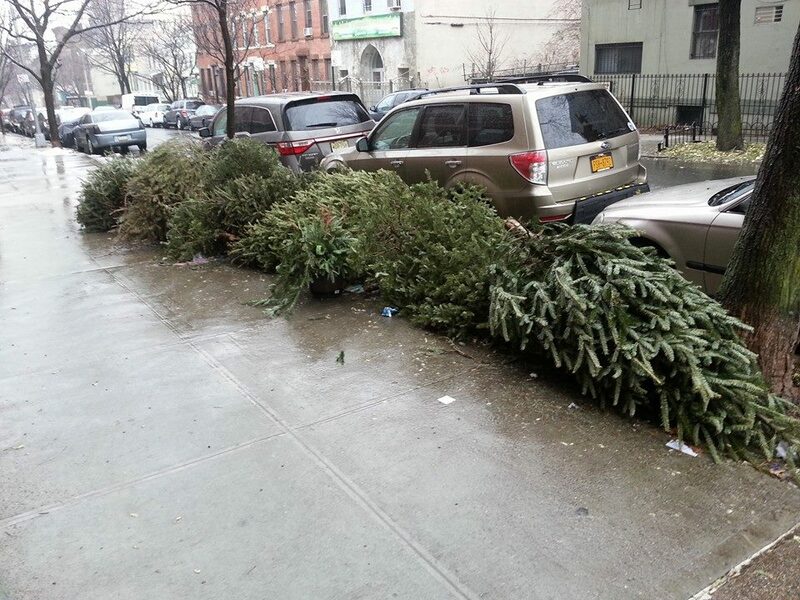 “How did my seven-unit building produce ten dumped trees? Don’t ‘miracle of Christmas’ me, Brooklyn, you’ve got some explaining to do,” says playwright and keen-eyed New Yorker Mike Lew. Ever seen an old bicycle, repurposed as a planter, in a quaint grandmother’s garden, with pots of trailing vines attached to every available spot? These little grasses and weeds seem to aspire to the same romantic arrangement. Props to eagle-eyed Ms. Hustrulid, who just spotted this amazing interaction between sidewalk flora and sidewalk paint in San Francisco. For more of her photos, please visit her Instagram feed: @glovecompartment. When the fog lifts from gray San Francisco and Indian summer sun floods the up-and-down streets, the plants and buildings suddenly show their true colors in all their vividness. 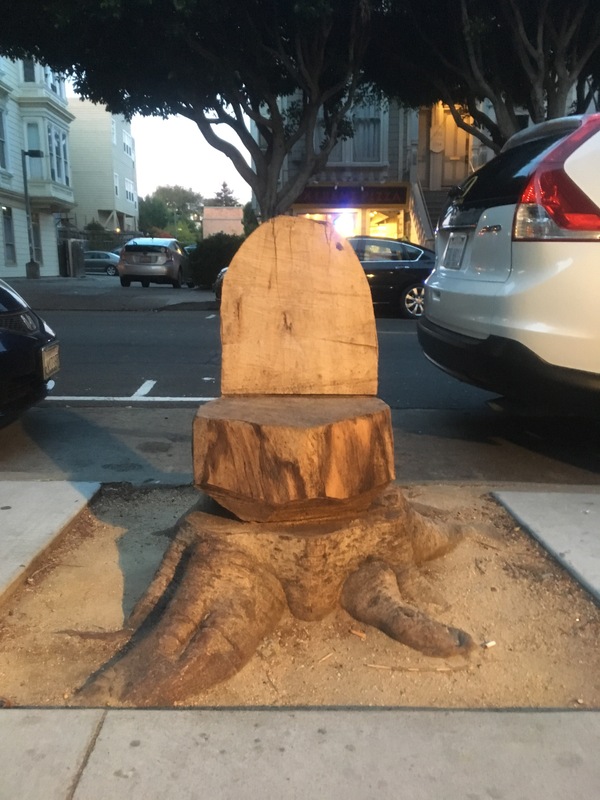 Some plants are painted on, others are trimmed into submission, while others grow into their own forms, whether creating sidewalk tunnels or two-dimensional trees. 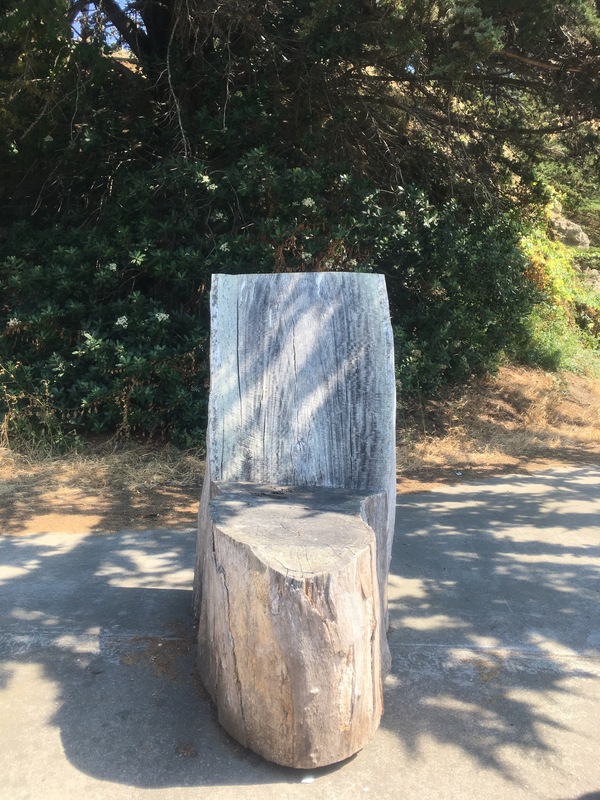 Here’s a little photo walk around San Francisco’s Mission and Noe Valley neighborhood back when the sun was shining. 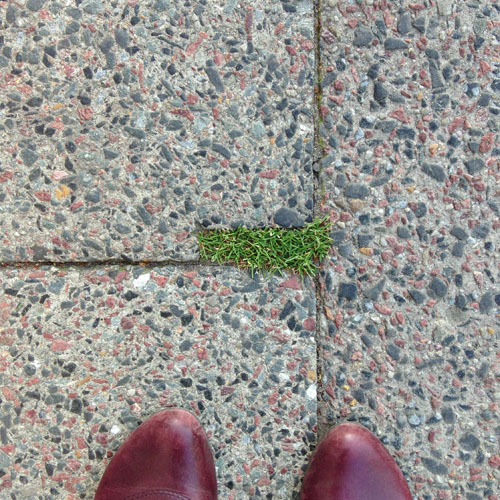 Tiny lawn spotted on the street. Toes shown for scale (and keep in mind, these toes aren’t very big either). Big bro and kid bro dandelion hanging out in front of the techno club ://aboutblank. Giving them a once over: cool couple hops and Ailanthus altissima. for emails re: new posts.